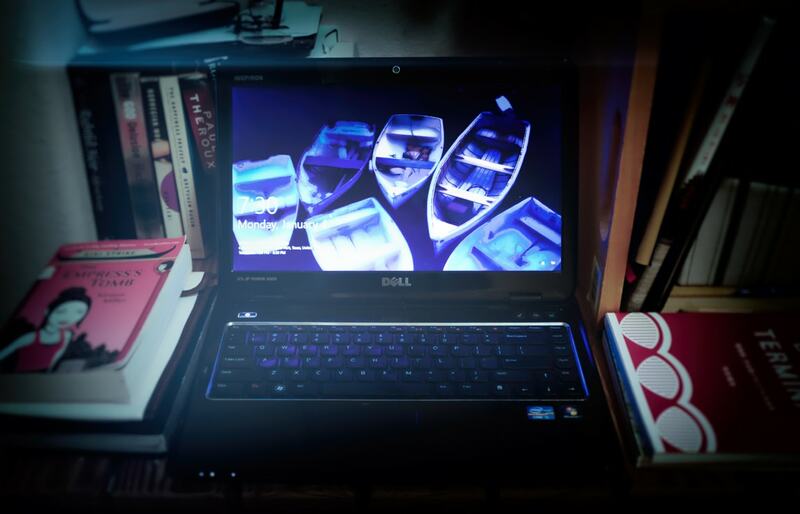 Today’s photo is of the laptop where I write my daily (mainly nightly) blog post. In fact, I am typing on that laptop right now. The table is pretty low, and I am sitting on the carpet, which is nice because our cat Miki  can lean up on me and act as a little heater. Convenient, huh? “Laptop Station” USA. Texas. Cedar Park. 2016. This morning was so cold outside (for Texas) that my minivan had ice on the windshield. ❄️ I didn’t think it was so bad, but it didn’t clear up quickly, so I had to pull over and let the heater melt the ice on the windshield. Fun fun fun! It’s another chilly evening so I am thankful to have Miki here. Please stay warm wherever you may be! How’s it going? Did you have a nice first weekend of 2016? I’m sad to see the long weekend (and holiday-time) come to an end. Honestly, I am not looking forward to work… but I am sure I am not alone on that one!  Today was another relaxing day spent at home with the family, but I did get out to ride my motorcycle for a little while this afternoon. It was a lot of fun, even if I only had a short while to ride. 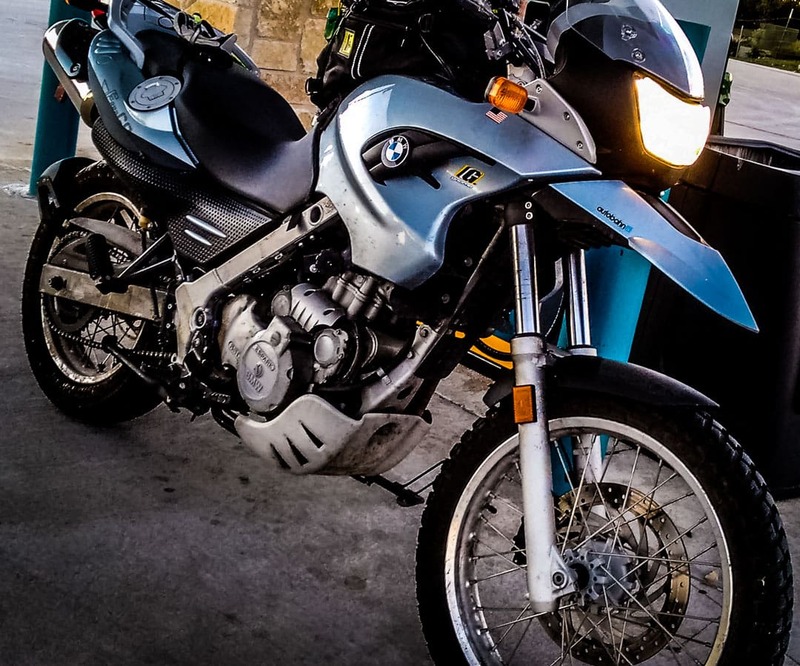 By the way, I have another blog devoted to riding my motorbike, although I haven’t updated it since last year. But please take a look if you are interested! “Filling Up” USA. Texas. Cedar Park. 2016. “Small Plants” USA. Texas. Cedar Park. 2016. 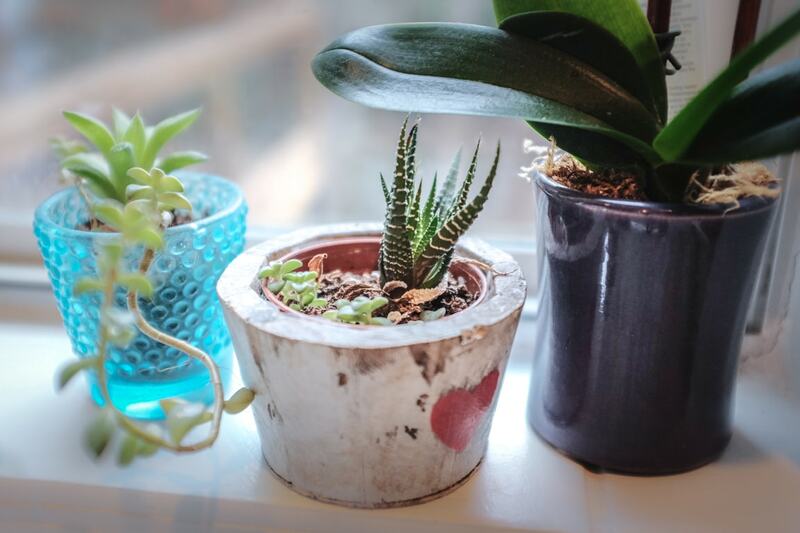 Today’s photo is of a few of the small plants we have in our house. These particular ones live on the kitchen window sill. I hope you all are enjoying your weekend! Stay warm if you live in a cold part of the world!